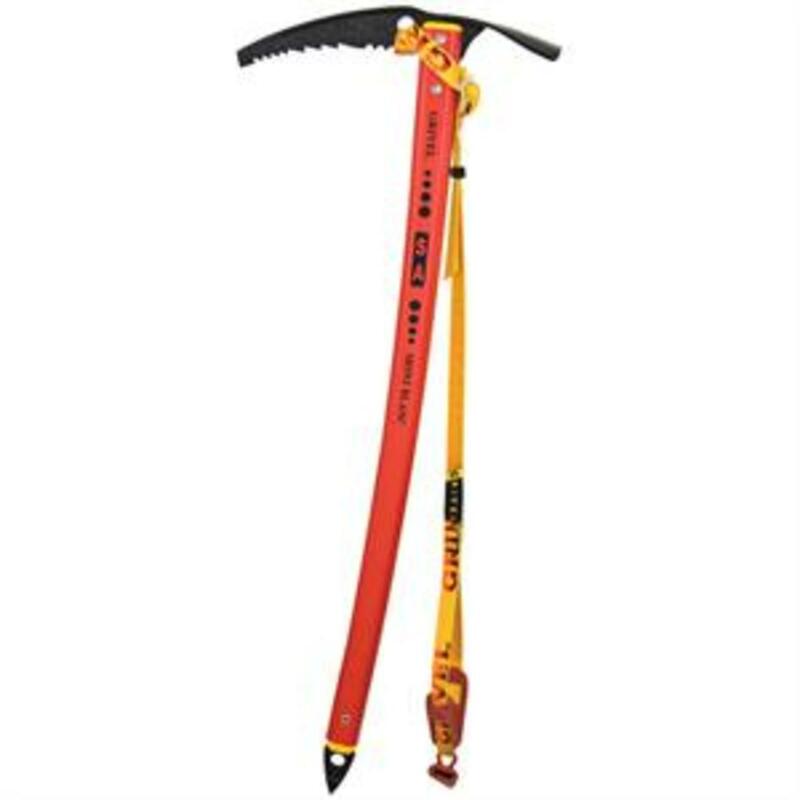 14ers are best climbed during the summer months of June, July, and August because your chances of hitting a patch of ice you can't cross or a blizzard you aren't prepared for is much less. However, there are many more thunderstorms above tree level than at any other place in Colorado, and summer definitely has the most thunderstorms of all the seasons! The best practice, therefore, is to plan to be off of the summit before noon, but even the safety of that will vary depending on the day. We've encountered stray lightning bolts, blizzards, sleet, and rain at 10am in the middle of July. Other days, we've relaxed on top of a mountain until 2 or 3 pm and the sky was sunny the entire time! Learn to watch the weather, to judge how quickly the clouds are moving, and to be attentive to how dark or threatening they are. Even better is to hike with someone experience, who knows when you should get down from the mountain. Here are some general guidelines to help in your hike! A few days before your hike, visit 14ers.com to research a Colorado mountain, paying attention to trail conditions, to plan a route, and to decide if you can handle the length and class of the hike. Get accustomed to Denver altitude for at least a week before you hike. Denver is called the mile-high city, and your lungs will need to get used to finding less oxygen in the air. Wake up earlier than you normally do, or camp out at the trailhead the night before. Bring at least 2 liters of water per person. 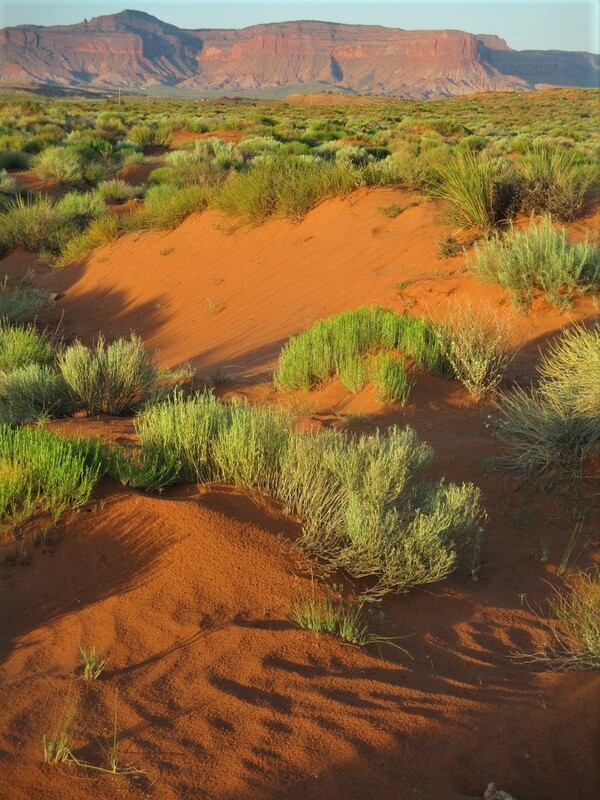 Do NOT bring any carbonated drinks or alcohol, as that will dehydrate you and cause altitude sickness. Bring plenty of carbs and protein. Sandwiches, trail mix, granola bars, cliff bars, fruit, etc. are staples for us! You'll be burning through your food faster than a day at the beach, so come prepared. Bring a windbreaker that doubles as a raincoat and a fleece jacket or sweatshirt. You will need the first for wind and precipitation, and the second for warmth. These coats are essential! Even if it's 90 degrees in Denver, there could be a blizzard on top of these mountains. Pants or shorts? We'll leave that up to you. I have two brothers that always hike in shorts; I rarely do! Bring sun protection. Even with sunscreen, hats, and sunglasses, it's rare that I've ever hiked a 14er without getting sunburned somewhere! The air is thinner, you are closer to the sun, and you will burn-- not tan-- before you even feel your skin getting hot. Hike with at least another person, and don't get separated! 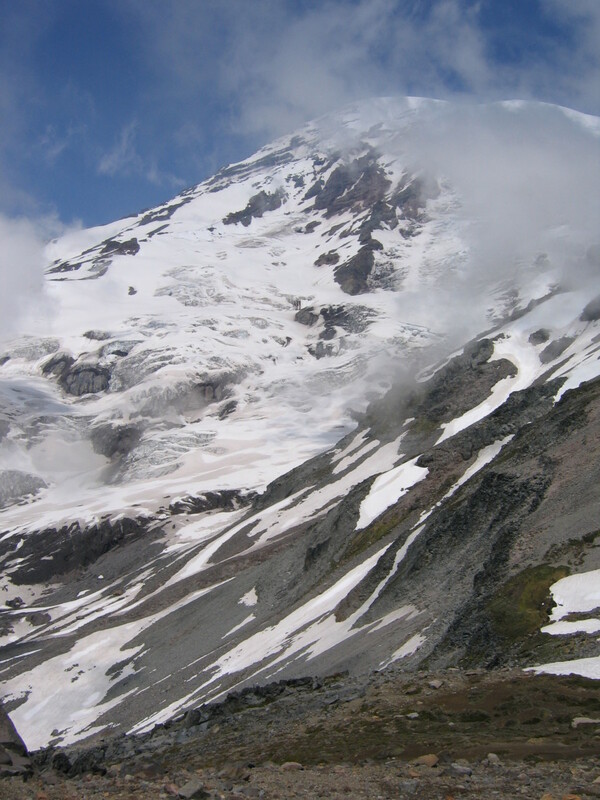 Even experienced hikers occasionally get lightheaded or altitude sickness, and without another person nearby it would be easy to get very sick and very stuck in weather conditions you aren't prepared for. Also, hiking with a companion reduces the risk of mountain lion attack. Bring a camera, and have fun! In spite of all these dangers (or perhaps because of them, actually) this will be an adventure your family will never forget! If you have little experience with high altitude mountain hiking/climbing, then you should probably knock out one of these easier 14ers first as a practice run. Sherman, Bierstadt, Grays, Torreys, and Mt. Evans, have short, Class 2 trials. They are each about 2 to 3 miles to the top, with only a 3,000 foot elevation gain from the trailhead to the summit. Evans even has a road to the top! If you have a little more experience and don't mind driving deeper into the mountains, the Sawatch range is a beautiful playground easily accessible from the town of Buena Vista. Some of these 14ers are connected by a saddle and if you are starting early enough, you may be able to do two or three in a day! These also include the Collegiant peaks, so you may gain some intelligence as you rise through the levels of Princeton, Oxford, and Harvard. Long's Peak and Pikes Peak mark the north and south bookends of the front range, but it doesn't mean they're easy. The best starting time for a hike up these mountains is 3am. 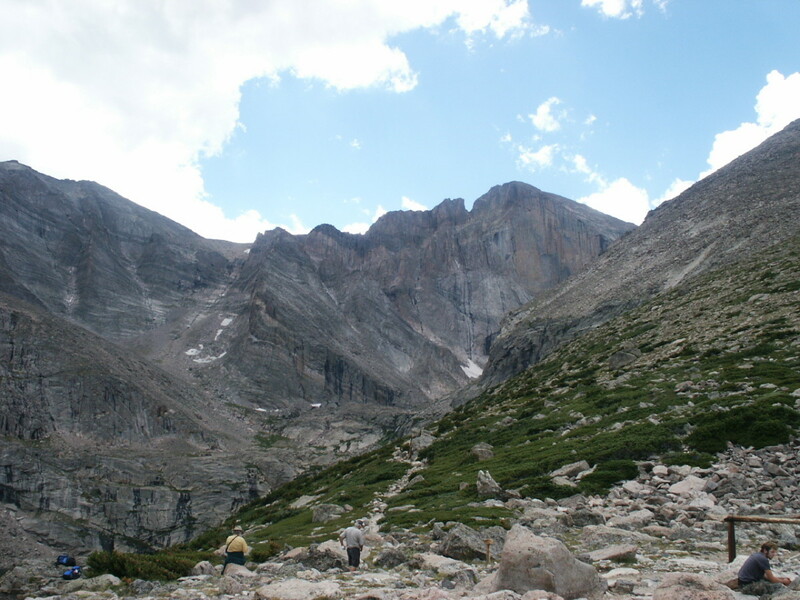 Long's Peak attracts some of the least experienced hikers every year, and has a death total of 57, with an average of 2 people dying on the mountain every year—many from falling. It has a long and arduous hike just to get to the face of the mountain itself. Once past the "boulder field" and the "keyhole," a precarious, winding trail notched into the side of the cliff escorts hikers over drop-offs measuring 1000 ft. or more. 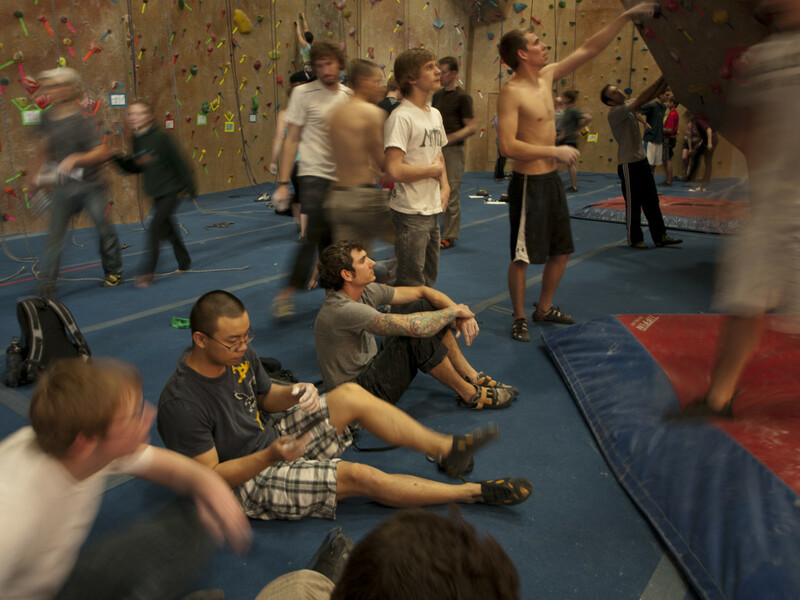 There are a few hand-over-hand scramble places as well, but climbers won't need any technical gear or advanced skill if they stay on the main route (like climbing up & down a ladder). Once on top, the view is different from every other 14er because of the sharp cliff structures close by on either side of the diamond face, and because of the great views it gives of both the plains to the east and the Rocky Mountains to the west. 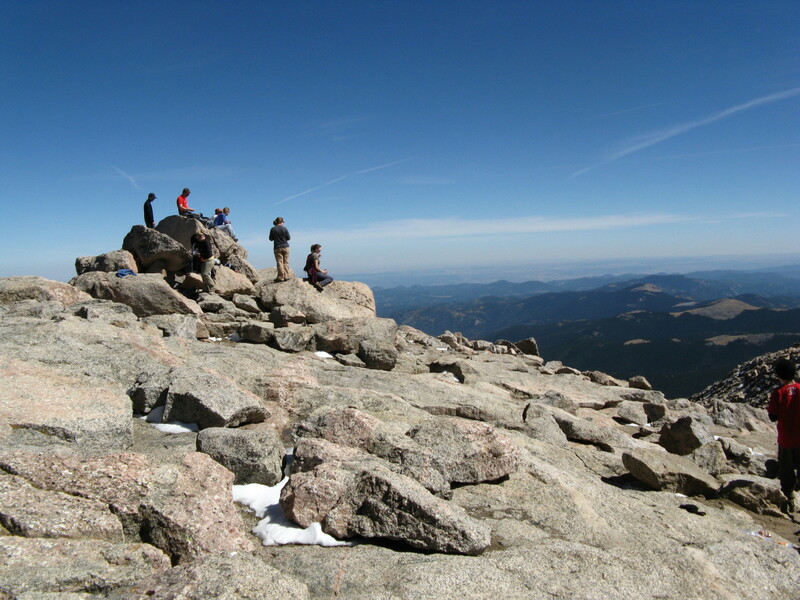 Pikes Peak is a longer hike, but has many saving graces that Longs Peak lacks. If endurance is your thing, then take the 26 mile hike up Pikes Peak out of Manitou Springs and enjoy a hot cocoa for your efforts at the top in the luxurious gift shop. For the truly intrepid, there's a marathon and a bike race up Pikes Peak every year. Here's a little-known secret, though. There's a sweet six mile trail leading out of Woodland Park that gets you to the top in much less time, and on a much prettier trail as well. The road less travelled is a beautiful thing! The view from the top cannot be described in human words. I'll try, though. It's an ocean of blue depths and white breakers, and you're on an island, surrounded by this great expanse. In this ocean there are other islands: bare, rugged, made of moon-rock and brownies. Far, far below you, looking deep beneath the surface of the ocean, there are tiny emerald mirrors lying flat on the ocean floor. Gray-blue canyons with fine navy veins channeling in and out of them direct your eyes to gradually take you back up the velvety slope, then up a rocky slope, then up the rugged cliff face, and your eyes are out of the water again, on the summit of a neighboring island. And that's just the view! I'll leave the crisp air and the unadulterated sunlight for you to experience firsthand. 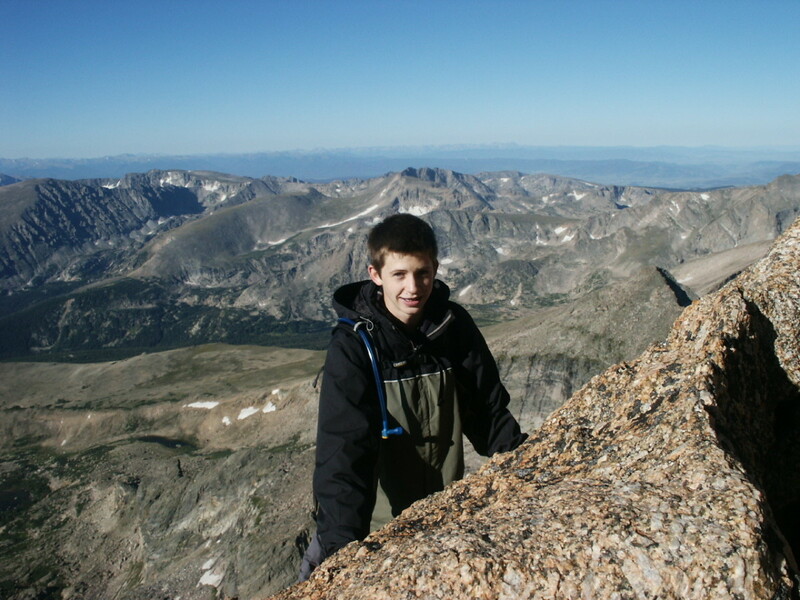 The video below is my group and I climbing Long's Peak in 2007. For my brothers and I, this was our second attempt to summit it. The first time was mid July of 2005, when there was too much ice and snow in the narrows. This time was much later in the summer (August), and it had been a much warmer summer so snow was least of our worries. We made it to the top by 8:30 am, though! I'll never forget my half-an-hour nap on a rock up there. I opened my eyes when I awoke and saw, through a thin slit between the rock and the hood of my coat, a vivid green and blue string of peaks, brilliant, like a postcard! I had forgotten where I was. We were prepared for a hard hike, but were not mentally prepared for how dangerous the trail was! If our legs had been any shakier or our heads any dizzier, it would have been suicide to attempt the pencil-thin trail that carried us along thousand-foot drop-offs. We were well-conditioned, though, having hiked Gray's and Torrey's together the weekend before, and started early enough in the morning so that there was plenty of time for food and water breaks. Descending was scarier, actually, because now we were looking down instead of up, and our legs were less steady than during the hike up. The video, below, shows a bit of what it was like, but due to the safety of the camera-man, the narrows are not in this video. At the Top of Every One of Colorado's 14ers! You are so lucky to have so many mountains in your backyard. I had no idea that Colorado had so many 14ers. As an ice climbing mountaineer, I understand both the difficulty and the allure of summiting. You are so right, things can change up there so fast, so you need to be prepared. I am sending this to my wife ASAP - this is a dream of hers! CyclingFitness, I find that amazing that you're going to be hiking Jebel in North Africa. That sounds absolutely fantastic and like it would be a completely different experience from hiking in Colorado. You'll have to stop back and tell us all about it when you've done it! Or write a hub on in and that would be even better. Happyboomernurse, I'm glad I gave you a little taste of what it was like! Someday you'll have to try it yourself. The view is incredible and something I'll never tire of! Lender321200, how cool is that?! So where do you hike and climb in Colorado when you get a chance? I'm still discovering hidden treasures even though I've lived here most my life. Jonathan Groom, it was a fun one to put together. Thanks! Janikon, the amazing thing is that it actually isn't usually as dangerous as TV makes it look. Most of the time we hike up well-traveled trails in nice weather, and the worst injury we come home with is an altitude/sun headache. Just the same, it's not something everybody gets to do, so I feel very blessed to live in Colorado and to be in the outdoors-loving family that I am in. Hope you get to hike a 14er someday, even if its just to get some awesome photos and to say you did it! DzyMsLzy, I'm glad I could provide with with a snippet of vicarious mountain-climbing! Please enjoy your Lake Tahoe without a smidge of envy. I've heard wondrous things about that lake and hope to visit it someday. Hope your husband heals quickly! In the great outdoors, it seems like all the stress would melt away. Thanks for your encouragement about my writing! Danette, you won't believe how many snowball fights my family and I have had in the middle of July! And up that high on a mountain, there's nothing to hide behind unless you can wedge yourself under a boulder, but that's just asking for it! The flowers thrive on the snow, though, because that is where their water comes from, and the sun often melts it off before the flowers have a chance to get covered too long. Thanks for your vote, J. S. Matthew! New Hampshire sounds like a great place to hike, though, and I have a great appreciation for forests that aren't only pine! David Warren, thanks for your visit! I hope you will find a way to come visit again soon! Nevada is fun for different reasons, though-- you have some amazing desert rock architecture! Great hub. I'm doing Jebel Toubkal Morocco next month- Not quite a 14er bu highest in North Africa and can't wait. The photo's are fantastically inspirational and definitely inspires a visit to Colorado- any recommended places to stay? FloraBreen, thank you! It's sweet of you to stop by. 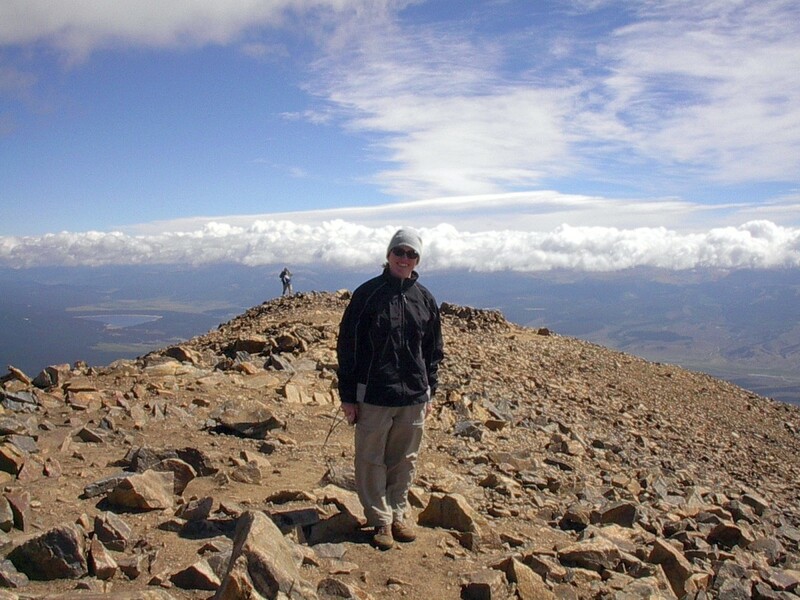 Mich S., I'm so glad that Climbing a 14er is on your Colorado "bucket list"! I wish you the best of weather and the most glowing memories. It's tomorrow, isn't it, that you'll be climbing Gray's and Torreys? Grays was the first one I climbed as well. It's a beauty! reg5566, It's so funny that you would mention "Rocky Mountain High" because we listen to it just about every time we drive up into the mountains. It's one of my dad's favorite songs and I have many great memories of hearing his voice with that song while we're winding up a steep road! And yes, there is something "giddy" or "high" about being up at that altitude, but maybe it's just the exhilaration of having made it to the top! applecsmith, how thoughtful of you! I am honored to have been chosen for the front page. How amazing that you "predicted" it! So you visit Colorado every year-- what are some of the things you return to again and again? Are you a skier or a boarder? This hub was absolutely stunning and very well written. Hard to imagine snow in July and also looking down from the peak, but you've done a great job of explaining what it was like. Congratulations on making the Fab 14 and Hub of the Day. Fantastic hub! Colorado has always been one of my favorite places to hike and climb. Congratulations of the Hub of the Day - voted up. awesome. interesting. useful. Congrats on Hub of the Day! Awesome job. Your photos, videos and word-pictures are all superb, and offer a tantalizing snippet of what these hikes must be like. Thanks for the vicarious trek-along! As I am 60+ and out of shape, and my husband a heart patient who has breathing troubles even at Lake Tahoe's more modest 5.000 feet, this is not a trip we're likely to attempt, so being able to read such a well-done description is the next best thing. Wow! Beautiful pictures and I bet the view at the top is awesome. I had to chuckle -- snow and ice in July! 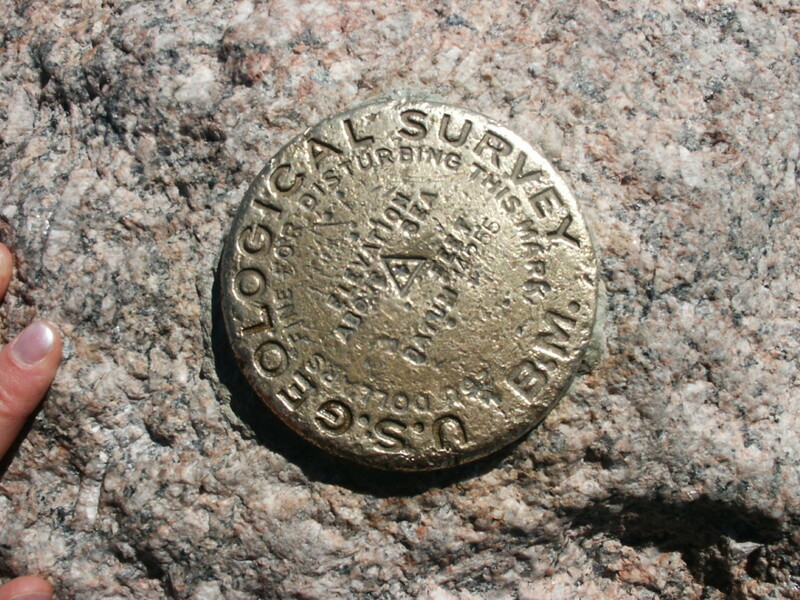 But it must be a great feeling to see the Geological Survey Mark at the top and to know you made it! Awesome article and beautiful pictures! I love hiking. I have hiked mostly in New Hampshire and Mass and have not quite reached 14K feet! I can only imagine the feeling when you are at the top! Great job. Voted accordingly. What an awesome hub. I already felt dizzy by looking at your amazing photos and videos. Congratulation for the hub of the day. Great hub and fantastic pictures! I live in Northern Nevada, east of Tahoe, and still miss Rocky Mountain National Park. I feel a little lazy just looking at these pages - definitely a little less challenging hiking on the east coast - but those views look amazing! Hi everybody! Don't forget to vote for my article on the HubPages Share and Share Alike page if you liked it! (The link is just above the comments section on this hub). Aw, thanks Sunshine! I hope this information will be helpful to your daughter. 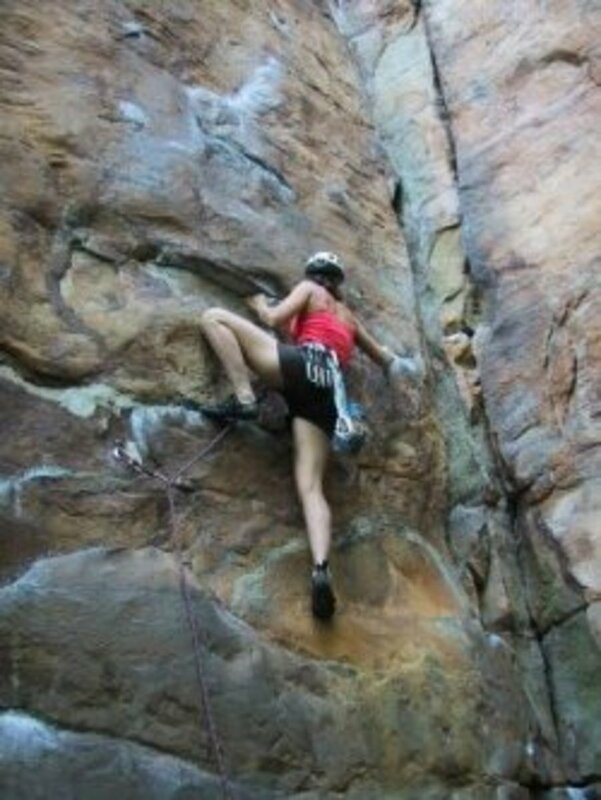 Good for her--I'm thrilled she gets to climb one of these beauties! 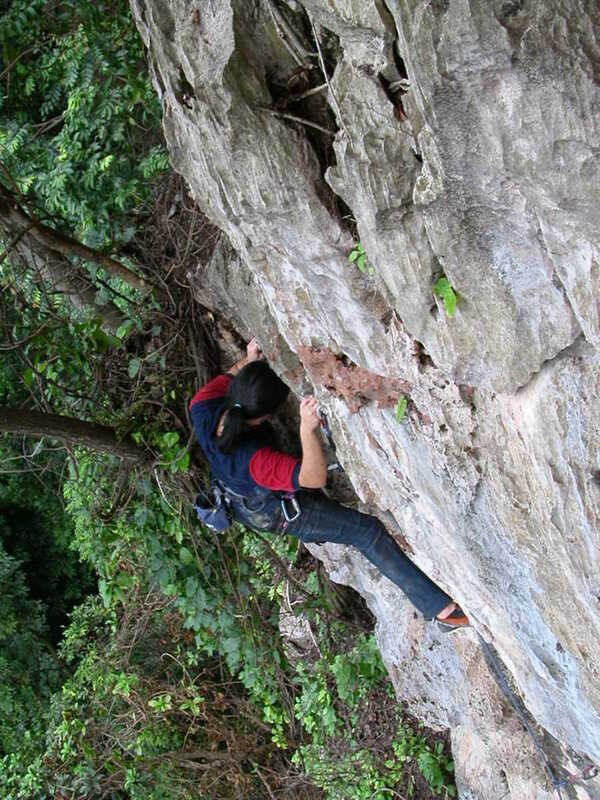 Manthy, I hope you will get to do some climbing someday! I love climbing Colorado's 14er's because many of them don't require much, if any, technical knowledge, yet the trails get you so quickly to the top of the Rockies! Thanks for your visit-- I am very honored to be the hub of the day. Congrats! Awesome subject and close to my heart, I was born in southeastern Colorado near Mt. Blanca (close to the Great Sand Dunes). Anyway, great hub with lots of beautiful shots of my favorite things, COLORADO MOUNTAINS! cogratulations on being chosen hub of the day. My husband and I have lived in Colorado for 2 months and we only have 3 weeks left. One of our last things on our "Must Do" list is to climb a 14er! We will be hiking up Grays and Torreys next weekend! 7 years ago from Santa Clarita, Ca. I just found this hub yesterday and thought "This is a fabulous article and they should feature it as the Hub of the Day". So Congratulations! I enjoyed the detail and information, along with all the pictures in this post. I visit Colorado every year and am always looking for new activities to do outdoors. This is a good hub. I like this kind of article most. Thank you for sharing this with us. Congrats on Hub Of The Day! 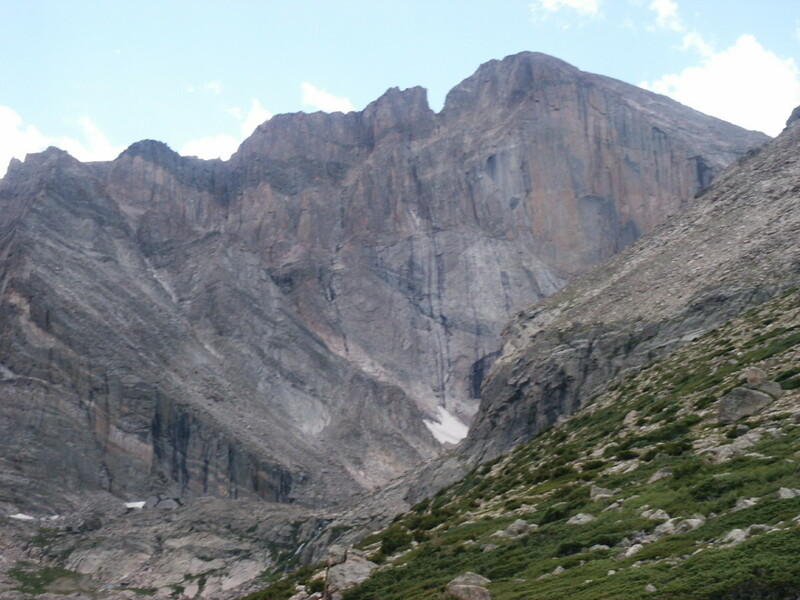 My daughter plans to climb some 14er's next weekend, I will send her this informative, breathtaking hub! Thank you! What a gr8 hub - Good job it makes me wanna do some climbing. JSParker, it's so cool to hear from another Colorado girl! It's truly a beautiful piece of rock and land, and a great place to grow up in. Thanks for your encouragement! I was so excited to have this article chosen as one of the Fab 14. Cardelean, I hope you will make it out here one day! It's an experience you won't quickly forget. Thanks for stopping by! I've been to Colorado, but I'm not a climber. I like lakes and level trails, but enjoyed reading about your adventures and seeing the pictures. I'm sure being there would be breath-taking, but chicken. Congrats on making the Fab 14. Wow! Great photos and awesome video! Sweet to see this, too, because I grew up in Colorado. Congrats on making into the Fab 14! And good luck! I have never been to Colorado or climbed a mountain but your hub has made me want to do both! Great details and tips as well as awesome photos. Thanks for all of the great information! Hi again, Jane - no, we had to call a shuttle to come and get us, but wow, was it cold waiting for it to climb the mountain! Aethelthryth, it's so good to have you stop by! I agree-- though there are dangers, the good qualities far outweigh the bad if you are well prepared and wise in your hiking endeavor. It sounds like you have some good stories, and everyone made it home alive! Your kids will love the wildlife, the rocks and creeks, and most of all the bright, big expanse that has no end when you are up "on top of the world"! I'm glad you mentioned the CO Mtn. Club-- they do certainly know what they're doing and have some great advice. Good tips - I wish I'd had this article about 12 years ago, to show to some Californians I went up a 14er with, who didn't even plan to bring a jacket! I was trying to explain to them that even when it's 100 degrees in Denver you MUST be prepared for spending a night in winter weather if you hike a 14er. I've had friends who got lost, fell off cliffs, had altitude sickness, and suffered other injuries. But I don't know anybody who's died on a 14er...yet. The challenge and the views are worth it, and I can't wait to introduce my own children to 14ers. The Colorado Mountain Club is a good place to learn about safe hiking in Colorado. They might seem overly cautious, but they have a lot of experience behind what they teach. One rule I have made for myself, based on one hike up a 14er with 4 other women, is that I'm not going unless there is someone, preferably not me, who can carry out any of the hikers, if need be! But if that sounds scary, balance it against this: I have never seen stars so wonderful as they are camping out at 12,000 feet. Or looking down on a night thunderstorm in the valley. Mrs. Menagerie, how great that you're a hiker and a climber already! 14ers should be no problem for you. I would love to visit Montana someday; the mountains there are no less thrilling or gorgeous, so I hear. :) Thanks for stopping by! Simone, you make me smile! I'm glad my hub set your adventure gears spinning and I hope to run in to you on top of a 14er one of these days! Climbing these mountains has truly been an unforgettable experience-- and some of the most physically taxing and thrilling things I've ever done. Ok. Whoah. Whoooah. Jane Grey, this is an incredibly awesome Hub. Your photos are gorgeous!! And I had never heard of 14ers before... I had no idea they were such a thing! I so want to climb one now... I bet everyone who reads your Hub does! Though I'm glad you shared those important precautions and helpful tips- mountaineering is definitely something for which people should prepare and dress properly for. Now... please excuse me as I figure out a way to get to Colorado!! Writerlee, congratulations on your upcoming move! I think you'll love Colorado hiking if you have hiked the Appalachian Trail. I would love to hike that myself, someday; I remember driving through the Smokies several years ago and being astonished at the fog and greenery (neither of which is very common in Colorado). Jane, my husband and I are moving to Colorado in a few months, and often talk about how neat it would be to climb as many of the 14'ers as we can! We're Appalachian Trail thru-hikers, so we have a lot of experience hiking, but not at that altitude! Thanks for the information and pictures, they are beautiful! Flora, that does sound lovely! I have always fanaticized about train rides to far away places. It would be very fun to take a train all the way to Denver! I hope you'll come visit again-- we love visitors. K9, thanks for your kind complements of my photos! It's actually easy to take great pictures at such a high altitude because the air is very clear and dry, and every angle is a beautiful view! Rose, it was amazing! I was so amazed that once is enough for me, I think. :) Your Pikes Peak story is a good one! Did you end up taking the train down from there? Brrr. I've climbed one mountain in my life-Elk Mountain. Quite tall enough for me-not like these. I've been in Denver only once. It was a stop off during a train ride home from visiting my grandparents in P.A.-usually we drove from B.C. but when we took the train it was lovely. Oh man! Your pictures are breath taking Jane! My brother in-law lived in Colorado while he was in the Army. He and some buddies took on this adventure. Several years later he took his own little family back to share his special memories. What an exceptional adventure it was! Thanks for sharing your awesome work. The hike up Long's Peak sounds amazing! It must feel like you're on top of the world. I've only hiked Pikes Peak - which was really fun. We didn't listen to the warnings of the weather however, and got to the top in the midst of frightening thunder and freezing snow. Quite an experience - but it makes for a good story :) I'd really like to go back someday in clearer weather to see the view. Your photos are beautiful, and I like how you've personalized with the video!